You are here: Home / About WebCom, Inc.
We get the job done and get it done right. At WebCom, we’re Data Cabling Contractors specializing in the design, installation, and maintenance of state-of-the-art structured cabling system for voice, data and fiber, as well as audio and video systems. Our mission is to provide value engineered solutions that are flexible, will operate efficiently, and maximize reliability. Our promise to our client’s is to exceed the requirements, timelines, and project demands. We will accomplish this by constantly evaluating our services, products, and installation performance; while always striving for ways to improve! Cabling Contractors, Network Cabling Contractors, Audio & Video Designers, Riser Management and more! Let WebCom do the heavy lifting on your network. 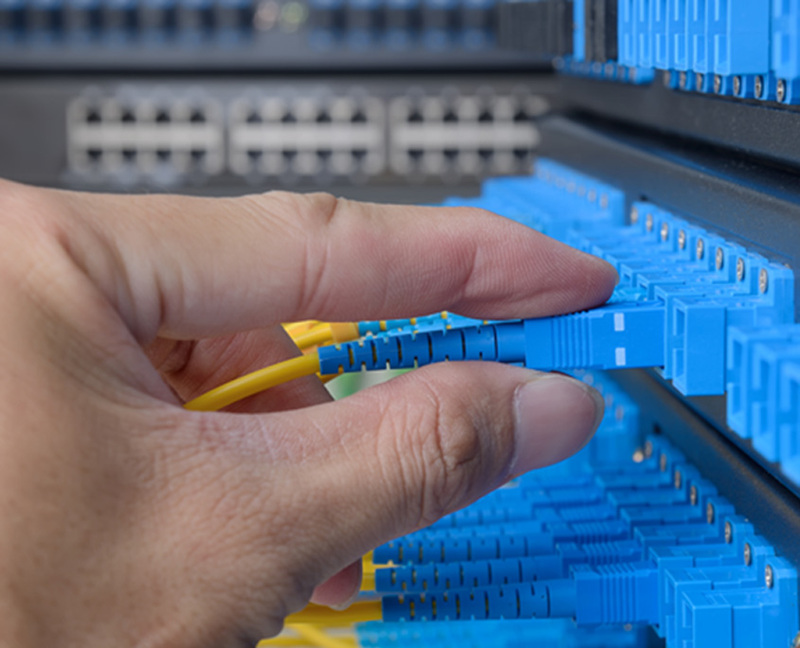 Webcom installers have extensive experience installing copper, fiber, and wireless networks. In the constantly changing world of audio and video equipment, WebCom believes in simplicity in design. Networks are constantly changing with the introduction of new trends and technologies. We bridge that gap with full service consultation. The WebCom team has provided timely, professional, and cost affective riser services for our property managers and their tenants. WebCom has extensive experience in providing solutions for single-mode, multi-mode, armored, as well as underground. WebCom has many years of experience in managing contractors, service providers, riser companies, and materials for single offices, as well as multi-office roll outs. WebCom, Inc. specializes in the design, installation, and maintenance of state-of-the-art structured cabling system for voice, data, fiber as well as audio and video systems.